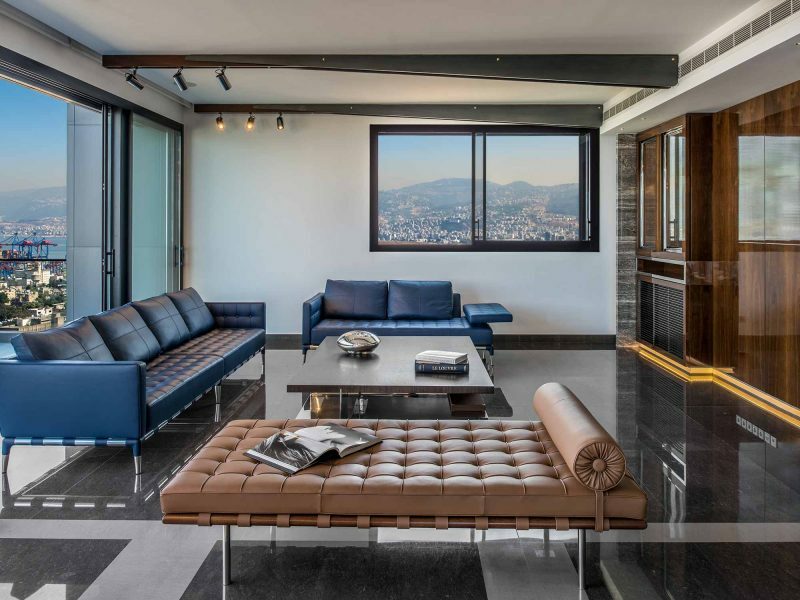 Located in the heart of one of Beirut’s most vibrant districts, Ashrafieh, Mallorca is truly a bachelor’s dream. 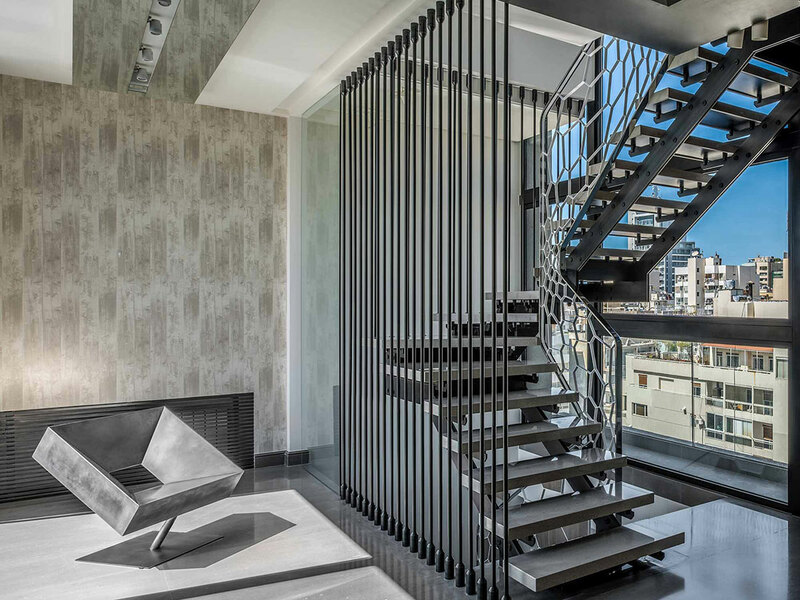 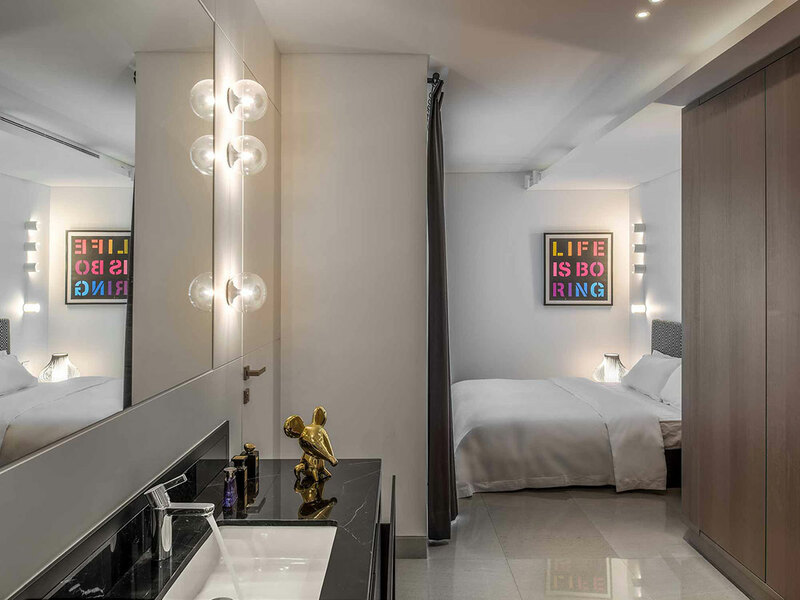 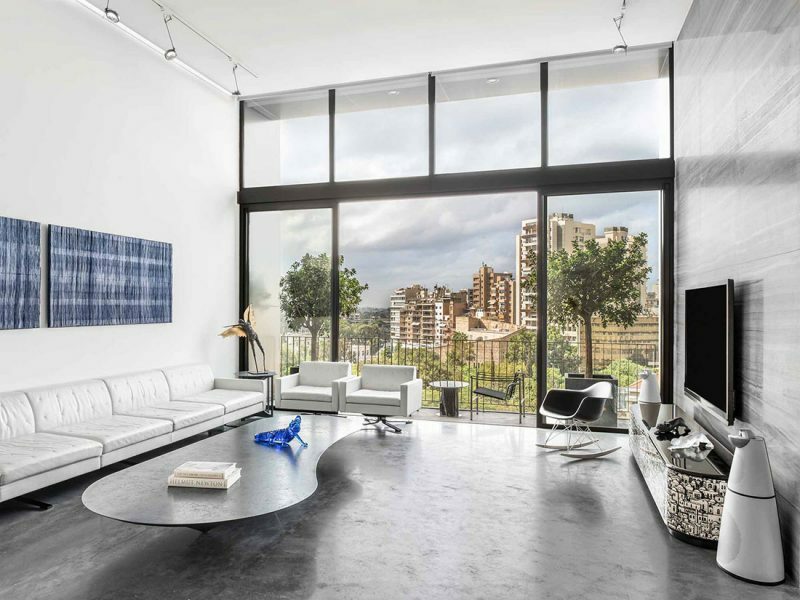 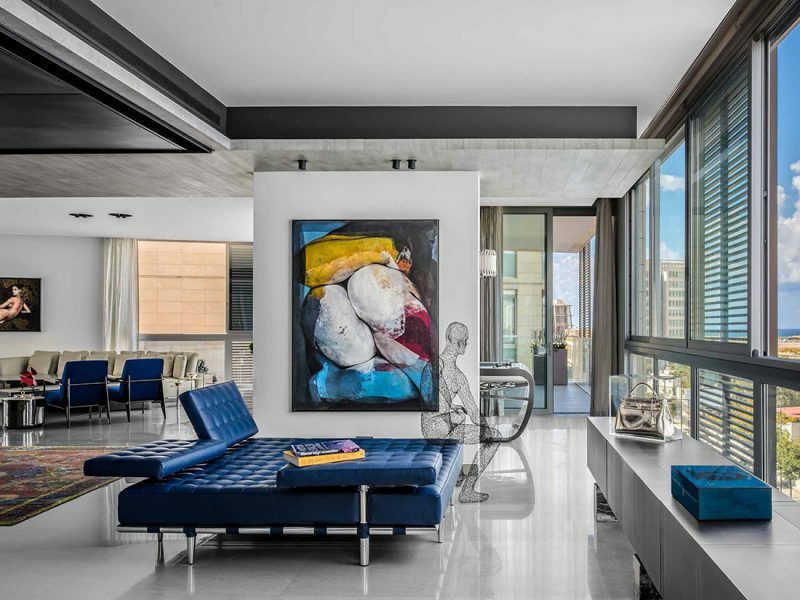 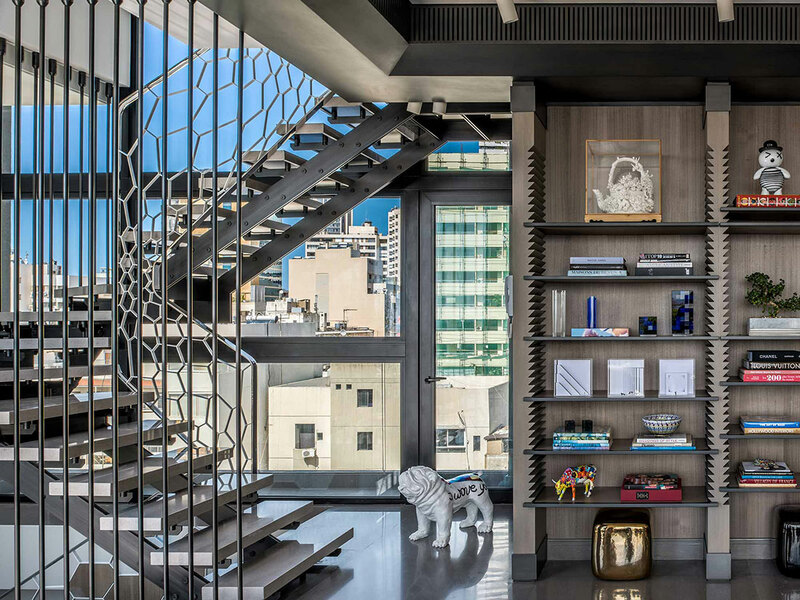 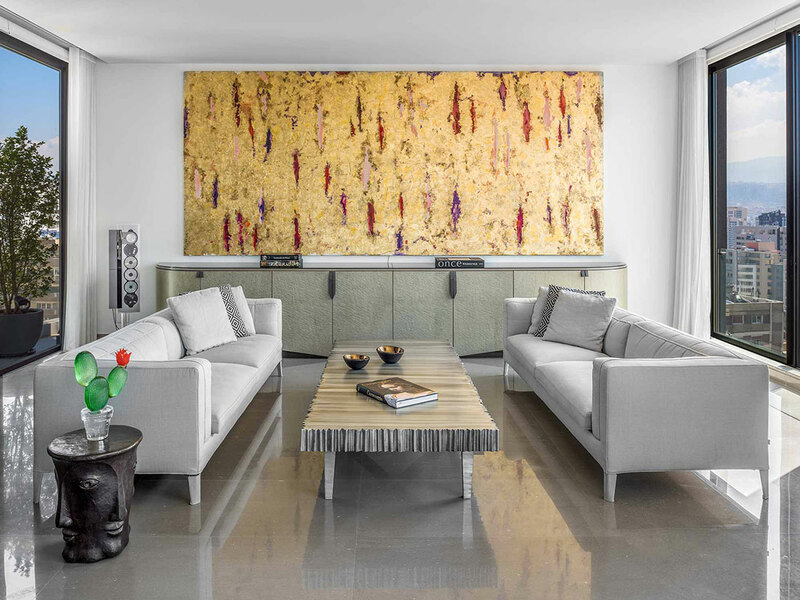 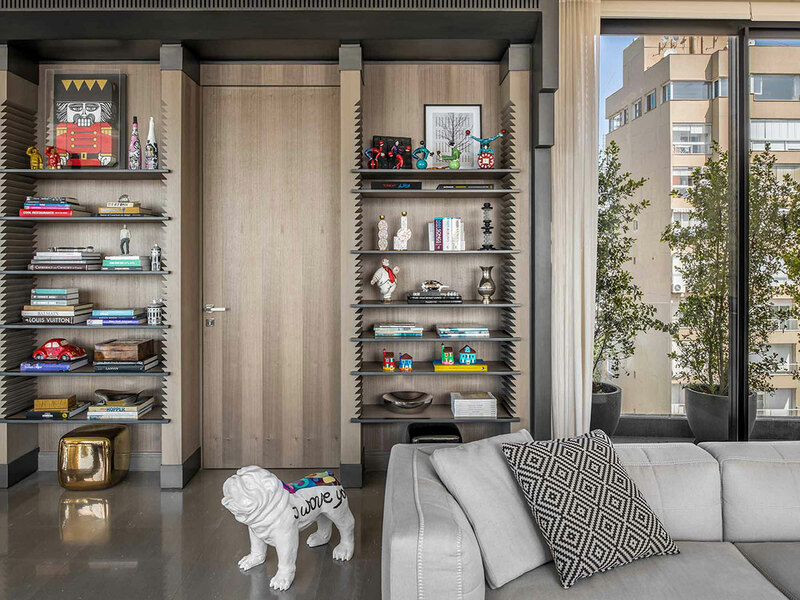 With 200m2 of well-lit space, the apartment features modern lines and contemporary interiors. 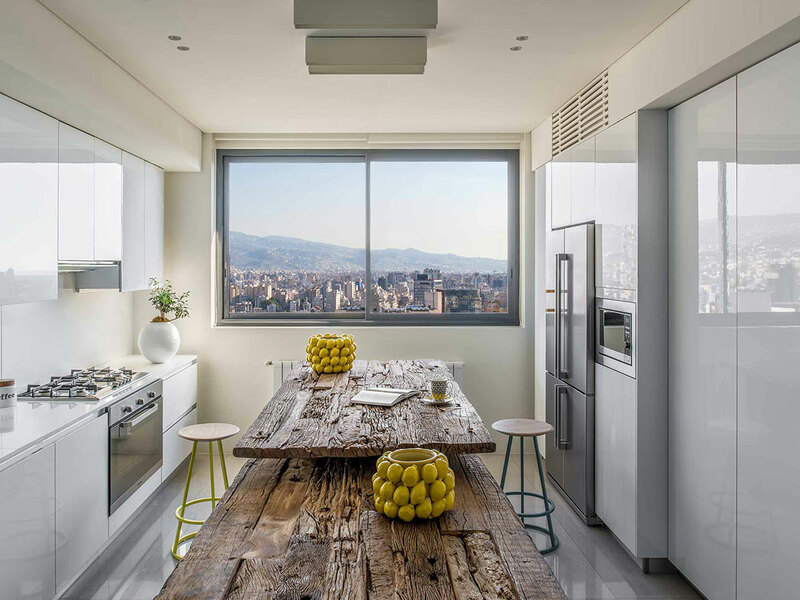 Minimalistic yet unusual, the apartment was designed in a spontaneous flow, making for some offbeat layouts. 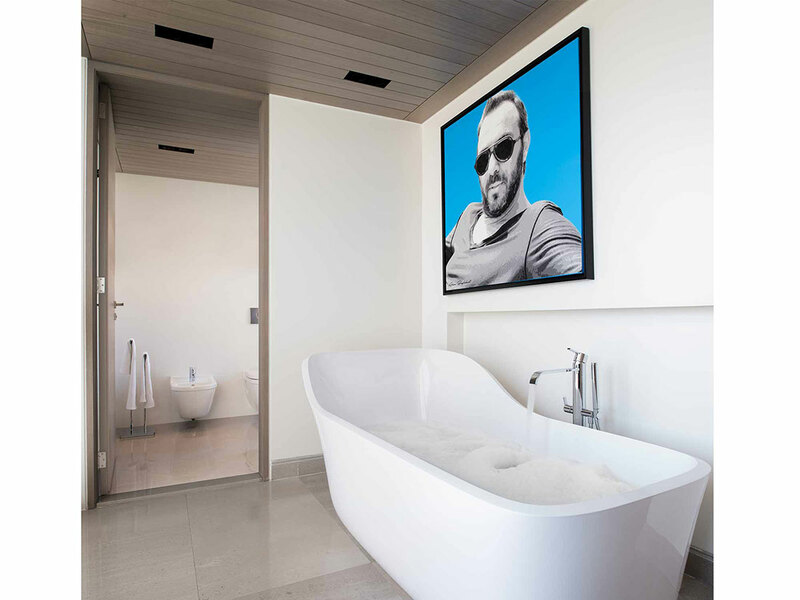 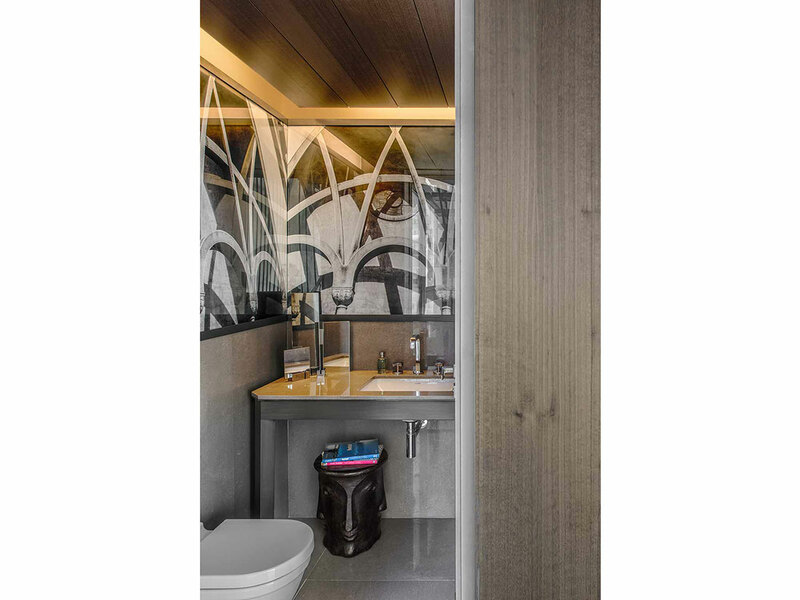 The bedroom, for example, includes a multipurpose sink with storage space right at the entrance, with the bathtub leading into the washroom on one end, and the walk-in closet leading into the bed area on the other. 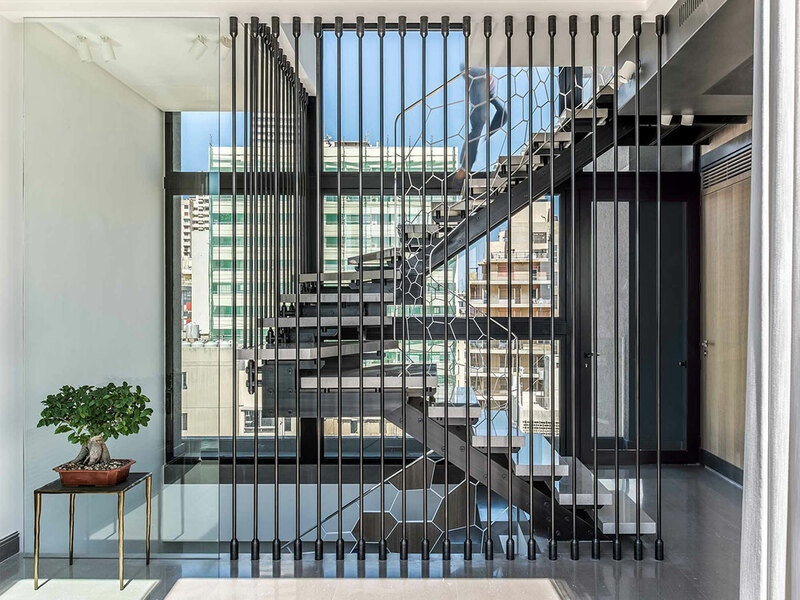 In addition, Mallorca is split into three levels, with the stairs situated between two fully-glazed partitions for a sky-high illusion. 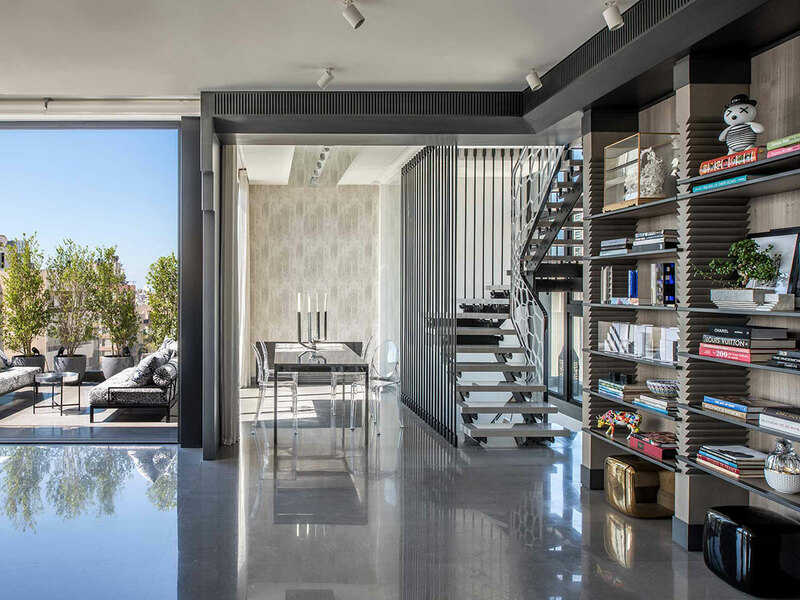 Along with a well-lit kitchen on the first floor, a living and dining area on the middle floor, and master and guest bedrooms on the upper floor, the flat also holds a terrace joining the reception area. 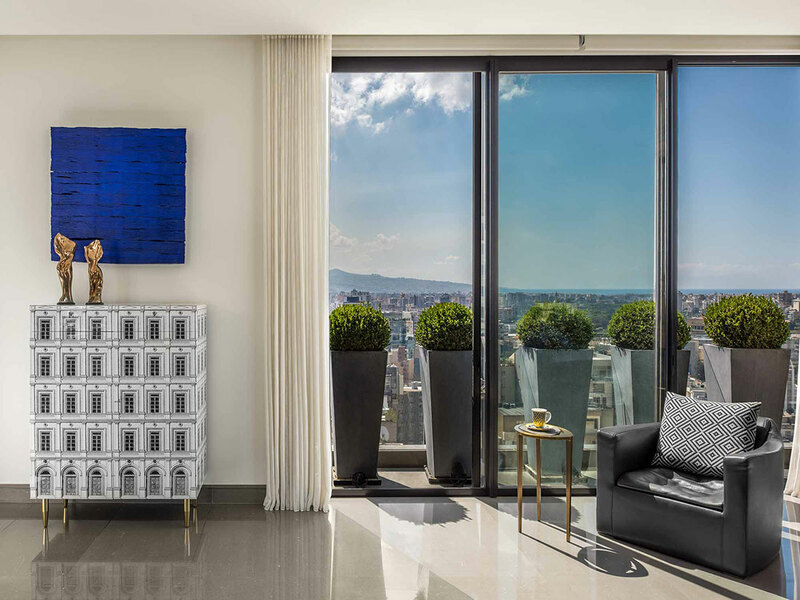 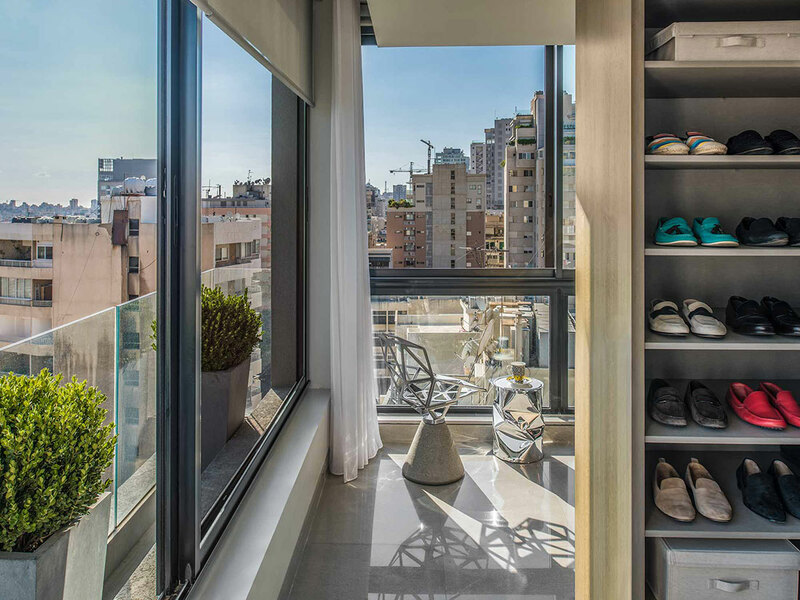 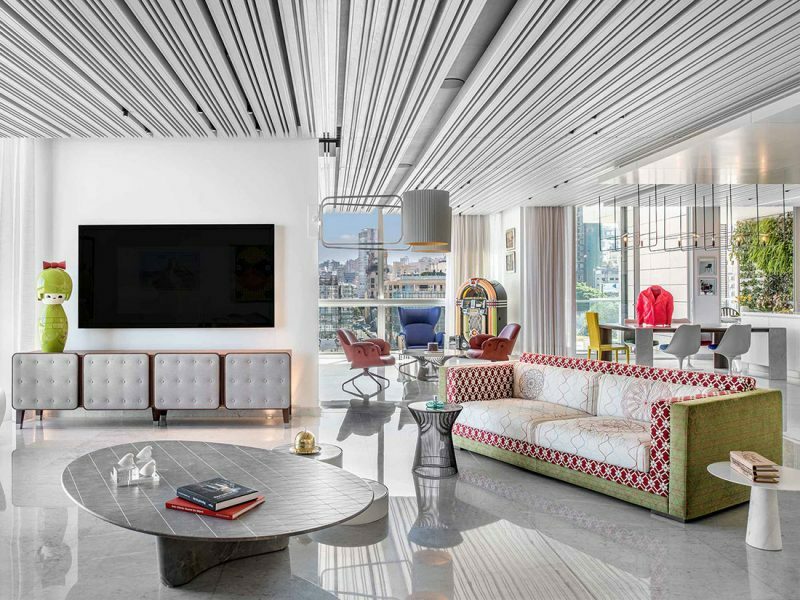 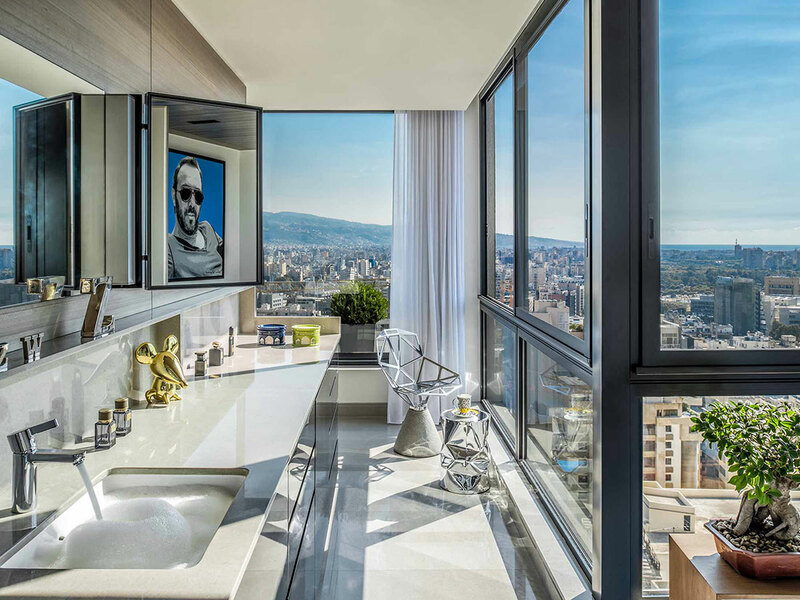 Moreover, Mallorca was restructured to include even more floor-to-ceiling windows to allow residents more light and space, offering a 360° view overlooking the lively streets of Ashrafieh.